Find a good local tailor, have 'em measure you. Try on a few suit coats with said measurement, make sure they hang about right. Same with slacks. Cuffs are good - contrary to belief they're never "out", and they have a functional advantage, they make slacks hang just right. They keep the pant legs from hanging getting caught in your shoes as well. Dryclean the suit coat *and* the slacks at the same time. If you wear the suit on Saturday, get some gunk on the slacks, do NOT have just the slacks only cleaned. Even the best suit can fade a teeny tad with a cleaning, so keep the wear/fading even - clean both at the same time. A suit that's not stained does NOT need to be drycleaned after each wearing, or each 5 wearings. Your under garmets take on the body oil and stink, its not a worry, a suit will last years longer if not over cleaned. Wear a t shirt - it looks better. Period. Make sure your tie meets the middle of your belt, please, please, oh please. Show some cuff. Have your tailor cut the suit coat so your Properly long dress shirt shows just a bit. It looks sharp, and adds contrast to between your suit and hand. Don't forget the dress shirt, 100% cotton ONLY, get them professionally laundered, and get a dry cleaner who knows what heavy starch means. Ya, I know, it sounds like it'll be "itchy", but after wearing the shirt for about 15 minutes its no more "itchy" than light starch. Ahh, the look of a crisp starched shirt. You'll have people ask you how your shirts look so crisp and sharp. Pit stains? Schmit stains! When you take off your nice dress shirt, hit the pits with some stain stick action, let it sit, it'll be ok. Then when you get the shirt laundered the pits will come out nice and clean. Take about 30 seconds. Traveling? Your dry cleaner has you covered. Instead of having your shirts on hangers as per usual, request they fold the shirts. They'll fold them, use some cardboard like a brand new shirt to save the collar from pressing down, and package it all up in a plastic bag - again just like a new shirt. That shirt is ready to travel! Wrinkles? Well just hang your suit up. 100% wool will hang out nicely. Tough wrinkles? Travelling? Hang the suit in the bathroom when you shower, the steam will let the wrinkles release. And, if you have an otherwise clean suit have your drycleaner give it a press before that special event, it just costs a few bucks and your suit will look like it was just cleaned. Never have a suit that doesn't need a cleaning put therugh the rigors of dry-cleaning. Why You Need It: The 2008 Game of the Year (Game Critics Awards) is often ranked as one of the best games of all time. 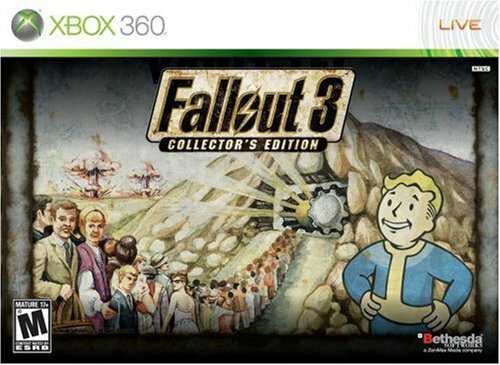 This deal gives you the game plus some cool swag at a price cheaper than the game alone (MSRP $59.99). Order Tip: Select Super Saver Shipping, it's free! While the MHG camping trip is officially postponed until next year (no ManCamp #8), there is no reason to sulk around all weekend. Just in time for Memorial Day, one of MHG's favorite sites, Lifehacker, just posted an awesome primer to help you get your grill on. What better way to celebrate the holiday weekend than cooking raw flesh over a hot grill, drinking some Cervezas (before the end of Cinco de Mayo) all while enjoying the great outdoors. UPDATE (5/27/2009 11:45 AM) - Deal is DEAD! 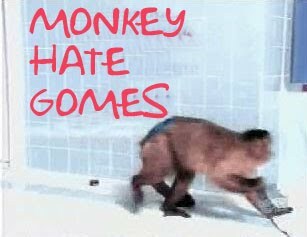 [RSS] Add the Monkey Hate Gomes Blogcast feed to your RSS aggregator and have the show delivered automatically (MP3).